NO PRE EMI_Pay 10% and Book Your Dream Home-Hurry!!! Ruchira Iris in Whitefield, Bangalore East by Ruchira Projects is a residential project. 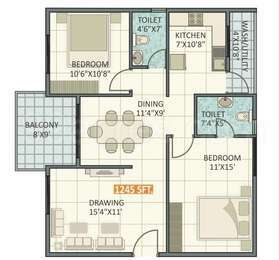 The size of the Apartment ranges in between 1245.0 sq.ft. and 1715.0 sq.ft. Ruchira Iris price ranges from 54.78 Lacs to 75.46 Lacs. Ruchira Iris offers facilities such as Gymnasium and Lift. It also has amenities like Badminton court, Basketball court, Jogging track, Lawn tennis court and Swimming pool. It also offers services like Banquet hall and Grocery shop. This is a RERA registered project with registration number PRM/KA/RERA/1251/446/PR/180605/001876. It is an under construction project with possession offered in Apr, 2022. The project is spread over a total area of 2.77 acres of land. It has 70% of open space. Ruchira Iris has a total of 2 towers. The construction is of 11 floors. An accommodation of 207 units has been provided. Ruchira Iris brochure is also available for easy reference. The front-runner in south India's property market, Bangalore is the IT capital of India. It witnesses increasing demands from ITES sector and start-ups professionals. Other factors that contribute to the positive real estate market of the city are positive buyer sentiments, increased commercial activities and an optimistic job market. Additionally, the presence of excellent education and healthcare facilities in the city contribute to the growing realty market. From affordable housing to luxury housing solutions, the city offers a number of residential and commercial projects to investors and buyers. In which area is Ruchira Iris located?The project is situated in Whitefield, Bangalore East. What apartment sizes are available in Ruchira Iris? The project offers apartments sized between 1245.0 sqft and 1715.0 sqft. What is size of 2 bhk in Ruchira Iris? 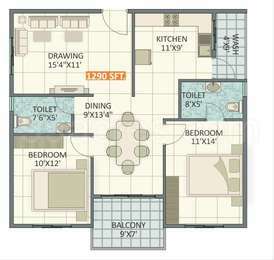 The area of 2 BHK apartments ranges from 1245.0 sqft to 1290.0 sqft. What is total area of 3 bhk in Ruchira Iris? 3 BHK units in the project are available in a size of 1565.0 sqft to 1715.0 sqft. How much is the actual area of Ruchira Iris?The area of the project is 2.77 Acres. How much is price of 2bhk in Ruchira Iris? 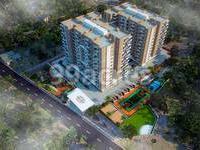 2 BHK units in the project are priced at Rs. 4855500 to Rs. 5031000.
l the clients being at par with the international standards. They assure you a justified pricing, on time delivery and handpicked locations.